How do persuade someone even when they don’t like you? Five tricks to persuading those who disagree with you. John Thomas is the founder and President of Thomas Partners Strategies, a full service media, strategy and crisis communications firm. 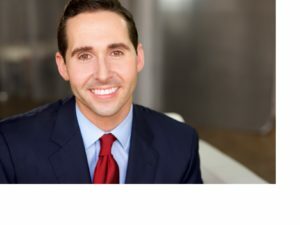 He is actively involved in shaping the political landscape across the nation and specializes in strategy consulting and television creation for political campaigns, corporations, ballot measures, non-profits and universities. John is KFI 640AM’s official political analyst and is also a frequent political commentator and author in the media ranging from local and national radio appearances to cable news stations like CNN, Fox News, FOX 11, PBS, and numerous national outlets like Daily Caller, Politico, RollCall, New York Times, Wall Street Journal, Campaigns and Elections Magazine and others. Thomas is passionate about civic involvement volunteering his time as a leader for SMU’s Los Angeles alumni, serving on the boards of Pepperdine’s School of Public Policy and CalWatchdog (California’s leading political investigative journalism outlet). Thomas earned his Bacherlors degree in Advertising from Southern Methodist University and his Master in Public Policy from Pepperdine’s School of Public Policy.